We consider No job too small. Our small repair service covers broken cords, single panes of glass replacement, new pulleys, new weights, spiral balances and replacement locks. We undertake a draught proofing service only, even if the window requires no restoration. 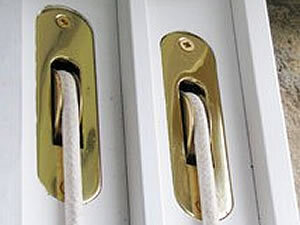 We replace casement window hinges, handles or stays. Door locks, handles and hinges. If you wish to upgrade your security we offer a range of locks in a Period style but with lockable key. Our small repair service also covers localised timber repairs and small Timber resin repairs. We do not have a minimum call out or a minimum order value. R & R Window Workshop is dedicated to offering a range of sash and casement window renovation, draught proofing and Double glazing services. 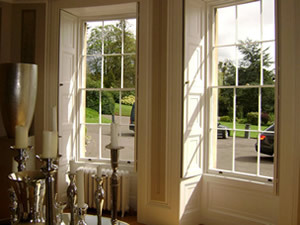 Our aim is to restore and renovate period windows using traditional materials and skills..
We provide a one stop service for Restoration and Draught proofing, Period Single Glazing, Small Repairs, Heritage Double Glazing, Decorating Service for Windows, Grade 1 & Grade 2 Period Properties, New Sash Inserts. Contact R & R Window Workshop to arrange your for free quote or to discuss your requirements for all sash and casement window renovation, draught proofing and Double glazing services.We provide a one stop service for Restoration services. Thank you for the high standard of work recently carried out on my windows. The workmen were very pleasant and were incredibly tidy for what I thought would be a messy job. The workmanship was second to none and I would gladly recommend them to my friends and family. Mrs H – Digswell Old Welwyn. For best quote in the area. © Copyright 2014 by R & R Windows . All rights reserved.